ACBS is an international organization with 53 chapters. Wherever you live or travel, there is probably a chapter near you. Joining ACBS and one or more chapters is a way to enjoy a family-oriented fun experience. You will make new lifelong friends and create wonderful memories from your cruises and trips. ACBS and its chapters also promote youth and educational programs as part of its mission. If you have news or photos to add to your chapter’s page, just let us know. Short Chapter Description: The Big Sky Chapter of ACBS offers serious fun to casual recreationalists and professional craftsman as they showcase the best water-craft in the Northwest. Short Chapter Description: Blackhawk Chapter of ACBS in Illinois and Wisconsin brings together people with an interest in preserving, restoring and enjoying antique and classic boats. Short Chapter Description: The Bluegrass Chapter of ACBS holds an annual boating rendezvous in Kentucky to share their members' interest in antique and classic boats and boating. 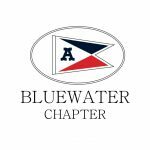 Short Chapter Description: The Bluewater Chapter of ACBS is centered around southwest Ontario, with activities around Lake St. Clair. Short Chapter Description: Bob Speltz Land-O-Lakes Chapter of ACBS strives to promote, and encourage a love and enjoyment of all aspects of historic, antique and classic boating. Short Chapter Description: The Buckeye Chapter was founded in 1979. It is one of the oldest chapters the Antique & Classic Boat Society. Buckeye Lake in Ohio has a long and rich history of being a vacation play-land and boating center. Short Chapter Description: Columbia Willamette Chapter of ACBS provides an opportunity for vintage boat enthusiasts to get together and share knowledge, experience and enjoyment in old boats. Short Chapter Description: The Dixieland Chapter holds three annual events; Guntersville Lake, Wheeler Lake and Pickwick Lake, all are on the Tennessee River and often a river cruise. Short Chapter Description: This is the France Chapter. Short Chapter Description: The Glacier Lakes Chapter was recognized as “Chapter of The Year” by ACBS in 2014. The Chapter newsletter “at the Waterline” was also recognized in 2011 and 2015 from The Antique & Classic Boat Society. 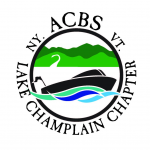 Glacier Lakes Chapter will host the Annual ACBS International Boat Show and Meeting in 2017. Short Chapter Description: The Heartland Classics Chapter is for those who love and care for antique and classic boats in America’s Heartland. Short Chapter Description: The Hudson River Chapter of ACBS is dedicated to preserving classic boat design and structure and the heritage of boating on the Hudson River. Short Chapter Description: The Indian Lake Chapter of ACBS promotes sharing dreams, adventures, knowledge, and history with enthusiasts throughout central and northwestern Ohio. 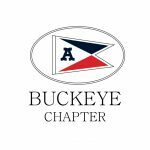 Short Chapter Description: The Indiana Chapter of ACBS enjoys the camaraderie of members sharing their appreciation and enthusiasm for antique wooden and classic fiberglass boats. 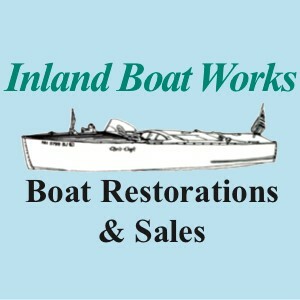 Short Chapter Description: Inland Empire Chapter of ACBS knows how to have fun, they honor classic boat builders of their area, and welcome others to their beautiful lake settings. Short Chapter Description: Our members share common interests in the care and use of vintage boats of all types; launches, runabouts, sailboats, canoes, outboards, guide boats, cruisers, etc. – wood and, increasingly, non-wood. 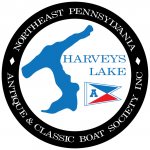 Short Chapter Description: Lake Hopatcong Chapter of ACBS plans a calendar full of events including an Annual Boat Show in June as well as a host of fun events on land and water. 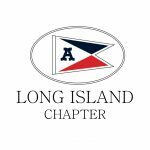 Short Chapter Description: Long Island Chapter is for those people who live in the New York City, NY area who are interested in antique and classic boats. Short Chapter Description: The members of Manotick Chapter are from different backgrounds who share a common interest in the preservation and enjoyment of antique and classic craft. Short Chapter Description: The Michigan chapter is an active club of members that pride themselves in “using” their historic watercraft and sanction several boat shows along the St. Clair River every year. We also have several monthly informal cruises during the summer months, and organize workshops during the winter. Short Chapter Description: With various monthly activities, Mississippi Valley Chapter's primary water is the beautiful Alton Pool on the Mississippi River just south of St. Louis. Short Chapter Description: All kinds of classics are welcomed by Mountainview Woodies Classic Boat Club of Maine Chapter based in the beautiful Sebago-Long Lakes region of Maine. Short Chapter Description: Located in northeastern Pennsylvania, the NE Pennsylvania - Harveys Lake Chapter holds its annual show in August. Short Chapter Description: New England Chapter, one of the earliest in ACBS, sponsors the annual Winnipesaukee Antique and Classic Boat Show and other boating shows and excursions. Short Chapter Description: Niagara Frontier Chapter members share interest in classic and antique wooden and fiberglass boats, classic hydroplanes, Jersey Skiffs and other race boats. Short Chapter Description: The love for vintage boats fueled the growth of our events. NCO is a very active chapter and over the years we have organized many boat shows, workshops, rendezvous, cruises, social gatherings, and our monthly board meetings. NCO also has helped grow youth activities such as model sailboat building and racing. Short Chapter Description: Northern California - Lake Tahoe Chapter supports community through philanthropic donations. They host the 2016 International ACBS Annual Meeting and Show. Short Chapter Description: Members of the Ohio Valley Chapter live in Southern Ohio, Southern Indiana, and Northern Kentucky with most of their events taking place on the Ohio River and its tributaries. Short Chapter Description: The Okanagan Chapter of International ACBS covers most of Western Canada with members from as far East as Calgary and as far West as Victoria. Short Chapter Description: The most important reason for joining the Pacific Northwest Chapter of the ACBS is your association with others who share a love of old boats. Short Chapter Description: McCall, Idaho is home to Payette Lake, a gorgeous 5,000 acre lake at elevation of about 5,000 feet. The lake and the surrounding region are the playground of the Payette Lakes Chapter. Our primary function is to host our annual Wooden and Classic Boat Show on the docks of the Shore Lodge, a world class resort. Short Chapter Description: The Philadelphia Chapter is all about preserving America's maritime heritage and it provides a comfortable environment in which to explore vintage boats. Short Chapter Description: This ACBS Chapter holds a boat show in late May every year in New Bern, NC on the beautiful Neuse River. Annual outings are held on Jordan Lake and Lake Gaston each summer. RDC Triangle Chapter also holds several technical sessions each year where we share knowledge of members’ boat restoration skills. Short Chapter Description: The Rocky Mountain Classics Chapter has created a community of enthusiasts who love and care for antique and classic boats with events all through the year. Short Chapter Description: The Smith Mountain Lake Chapter promotes the restoration and preservation of antique and classic boats and their use on Smith Mountain Lake in Virginia. Short Chapter Description: The Southern California Chapter holds its premiere event at Lake Arrowhead, California in early June. The Chapter has annual boating events at Bass Lake near Yosemite National Park in conjunction with the Northern California-Lake Tahoe Chapter, at Big Bear Lake, and San Diego Mission Bay. Short Chapter Description: Southern New England Chapter has quality boat shows and educational events to educate members and the public about historic, classic boats and boating. Short Chapter Description: The ACBS Southwest Chapter sponsors Keels & Wheels Concours d' Elegance in Seabrook, Texas, one of the premier classic car and boat concours in the country. Short Chapter Description: Sunnyland Chapter of ACBS strives to perpetuate the love of boating by maintaining our past while educating for our future. Short Chapter Description: The St. Lawrence River and the 1000 Islands area is one of the most beautiful cruising grounds in the world and the home of Thousand Islands Chapter of ACBS. Short Chapter Description: Tide Water Chapter of ACBS has events planned along the coast of southern Virginia and northern North Carolina. Short Chapter Description: Toronto Chapter of International ACBS provides several events and workshops throughout the year and throughout Ontario, Canada. Short Chapter Description: The Water Wonderland Chapter is for people with a common interest to get together to share information, experiences, and last but not least, boating fun! Short Chapter Description: Wine Country Classic Boats Chapter of ACBS celebrates and promotes education about, and preservation of the culture of historic, antique and classic boats.